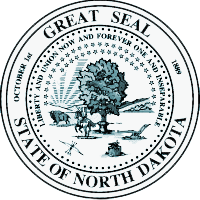 Our Mission is to ensure the health and safety of North Dakota consumers by promoting ethical standards and by enforcing the laws of the beauty industry. The Board Regulates and Licenses all cosmetologists, manicurists, estheticians, instructors, students, schools, and salons. It is the duty of the board to protect the public health, welfare, and safety through the prevention of the creating and spreading of infectious and contagious diseases. Meetings will be held at 10:00 am at the Board Office, unless otherwise noted. If you would like to add items to the agenda, please call 701-224-9800 or email us at info@ndcosmetology.com. If special accommodations are needed, please notify our office. Meeting dates and times are subject to change, so please contact our office for confirmation. Agenda is posted at our office one week prior to the meeting.